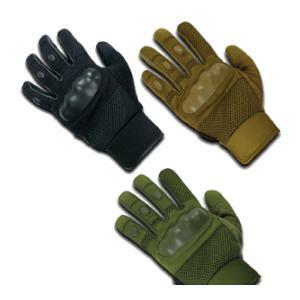 The T10 Pro Tactical Glove features hard knuckle protection and foam protection on the fingers. The hands are kept cool thanks to the mesh backing and ventilated fingers. Synthetic leather is used on the palm for maximum durability and silicon printing provides additional gripping aid. 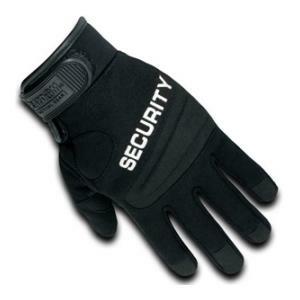 The T29 Digital Leather Duty Glove features a backside made of a polyester 4-way stretch material for the ultimate in flexibility and comfort. The palm is made of quality digital leather, which has a unique texture and pattern to it. 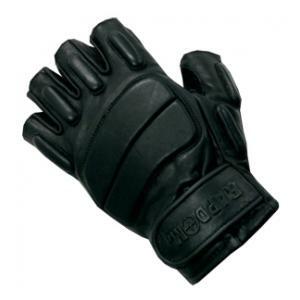 Rubber padding protects the knuckle area from impact and the fingertips are completely surrounded by leather for added protection. Terry cloth is placed above the thumb area, which is useful for wiping perspiration from the face. The T20 Half Finger Tactical Glove is great when you want protection, but you don't want to lose manual dexterity. The back and palm is made of cowhide leather for excellent durability. An additional layer of suede is placed on the palm for added protection and gripping strength. The back of the glove contains a foam padded knuckle plate & knuckle guards for added protection against blunt force strikes. 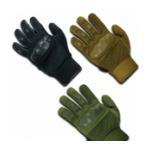 The inside of the glove is lined with a polyester lining for a comfortable fit.